Costa Rica has no military. There are only a handful of countries with no standing military, most of which are small nations in the South Pacific and Caribbean. They also include the tiny European country of Liechtenstein and Vatican City in Rome. With origins and volcanic activity dating to only about 7,000 years ago, Arenal is the youngest of Costa Rica's volcanoes. Its first major modern eruption in 1968 was unexpected, and the little town of Tabacon was destroyed. Costa Rica has five active volcanoes and 60 extinct or dormant volcanoes. Cloud forests such as Monteverde are quite rare-only 1 percent of the planet's woodland area is covered by cloud forest. Costa Rica has many qualities that make it attractive to visitors from around the world, as well as a sizeable expat population, primarily made up of retirees and semi-retirees from the United States. The government invests generously in businesses, there is a literacy rate of almost 95 percent, and it is a country that has been at peace since 1949, when the military was abolished. 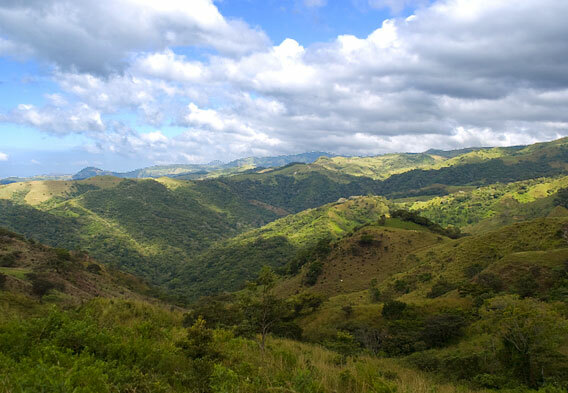 Unlike many developing countries blessed with an abundance of natural riches, Costa Rica itself has been one of the pioneers in preserving those riches, and almost 25 percent of the country is protected in some way—by national parks, biological reserves, and wildlife refuges. This is one of the most environmentally conscious countries in the world, and people come from around the globe to enjoy its pristine beaches, lush rainforests and cloud forests, stunning volcanoes, natural hot springs, sparkling waterfalls, and the abundance of wildlife found in all these regions. They are welcomed by a sophisticated tourism infrastructure and some of the world’s most beautiful and exclusive eco-conscious resorts. Both the Pacific and Caribbean coasts have wonderful national parks and marine reserves. 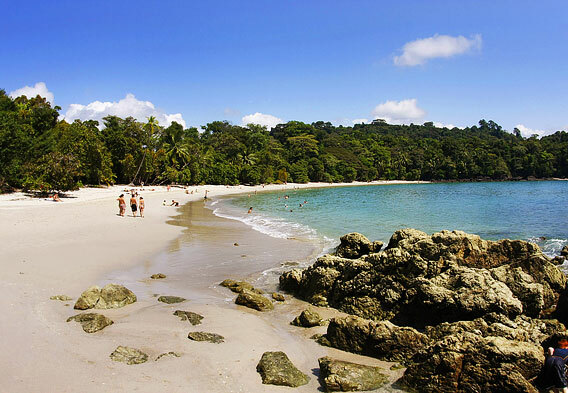 The two most well-known on the Pacific side are Corcovado National Park and Manuel Antonio National Park. Corcovado is famous for its biodiversity, thanks in large part to its remote location on the Osa Peninsula. Here you will find all four of the nation’s species of monkeys, as well as tapirs, more than 50 different species of bats, 375 bird species, jaguars, ocelots, margays, and peccaries. About halfway between these two parks is the laid-back resort community of Dominical, with fabulous surfing beaches that are known for their consistently good waves. The most famous coastal park on the Caribbean coast is Tortuguero, named for the endangered green, loggerhead, leatherback, and hawksbill turtles that nest on its beaches. The park is also home to monkeys, sloths, and 320 bird species. Beaches within and near these parks and reserves are unspoiled, serene, and often remote. Costa Rica also has many more easily accessible beaches that offer more sophisticated infrastructure, resort towns, casinos, fine restaurants, and nightlife. The majority of these are found along the Guanacaste Coast on the northwestern Pacific Coast, stretching from the border with Nicaragua south to the end of the Nicoya Peninsula. Here is the bustling resort area of Tamarindo, which has lovely rental villas, superb scuba diving, and many lovely beaches with excellent surfing conditions. In addition to the beaches and coastal national parks, Costa Rica is also home to a beautiful and fascinating set of volcanoes. The five active volcanoes of Costa Rica are popular tourist spots, providing scenic vistas and venues for lots of outdoor activities. It is, in fact, the country’s active volcanic history that has created the terrain and fertile soil that allowed its lush cloud forests and rainforests to thrive and provide for such rich biodiversity. 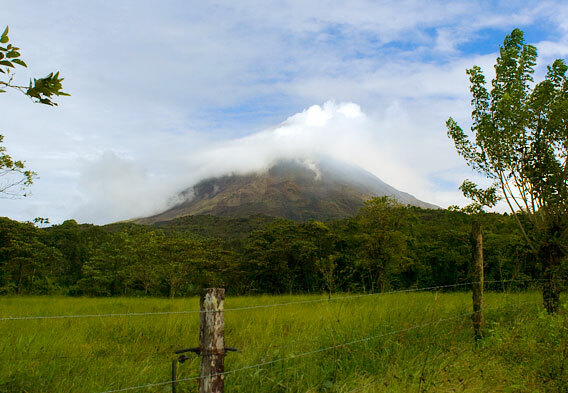 In addition to the famous Arenal Volcano, the Poas Volcano is also a draw. Rising nearly 8,900 feet above sea level, it’s also very active, and its proximity to San Jose makes it easily accessible as a day trip from the capital city. There is a large acidic crater lake near the summit, which at times provides fantastic shows of geysers spewing as high as 800 or more feet into the air. A trek to the summit on a clear day rewards visitors with views of both the Pacific Ocean and the Caribbean Sea, and Poas is also surrounded by a national park and cloud forest. Manuel Antonio is one of Costa Rica's best-known destinations. A small national park on the country's Pacific Coast, Manuel Antonio National Park was established in 1972, and though it's the smallest of Costa Rica's national parks, it draws as many as 150,000 visitors each year and is highly regarded for its attractive beaches and hiking opportunities. There are four beaches within the park (Manuel Antonio, Teldoro, Espadilla Sur, and Playita), all surrounded by rainforest. The biodiversity found here is unsurpassed, with 109 species of mammals and 184 bird species. Arenal Volcano, rising to a perfect cone 5,437 feet above sea level, is one of the most popular volcanoes among tourists to Costa Rica because it is the country's most active, having erupted several times since 1968. The peak is at the center of a nearly 30,000-acre national park, with a vast lake (33 square miles) along its border. The park is a center for hiking and trekking, and Lake Arenal provides boating, windsurfing, and fishing opportunities. Some of the country's most popular volcano-heated hot springs are around Arenal as well, such as around the spa resort of Tabacon, located at the volcano's base. Tropical cloud forests around the world are crucial to the planet's ecological balance, with vital watershed and species-rich vegetation. There are tropical plants, birds, mammals, and reptiles that are unique to these small pockets of cloud forest, and Costa Rica's Monteverde Cloud Forest is just such an ecosystem, boasting about 2,000 plant species (of which about 420 are orchids), more than 400 bird species, and more than 100 species of mammals. There are monkeys and coatis, jaguars and tapirs, sloths and poison dart frogs, and beautiful birds, such as quetzals and toucans. You can explore this cloud forest on nature hikes, canopy zip lines, and even tram tours.